As Sigurd rides to Brynhild, “ahead of him on the mountain he saw a great light, as if a fire were burning and the brightness reached up to the heavens. 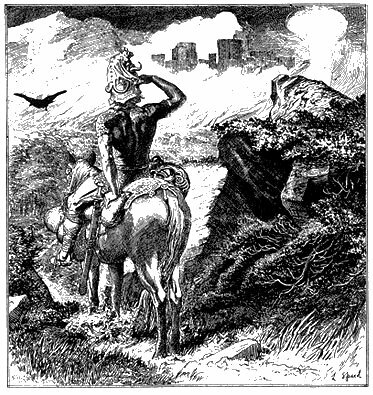 And when he came to it, there stood before him a rampart of shields with a banner above it.” The language here seems to imply that the “fire” is actually the glare of the shields, not a literally burning ring of fire, as is usually portrayed in later retellings of the story. 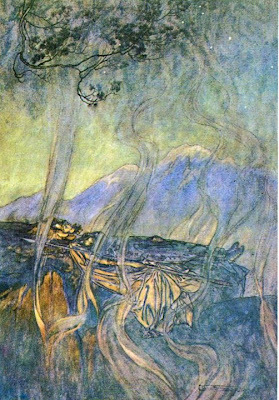 This echoes Snorri’s Eddic description of a party in Asgard, the home of the gods: “in the evening, when they were about to start the drinking, Odin had swords brought into the hall and they were so bright that light shone from them, and no other light was used while they sat drinking.” Coupled with the many instances of gleaming weapons lighting a hall in the mythology are the common poetic references to gold as “fire.” Given this tradition, it is not at all clear that the Brynhild’s fire is not merely metaphorical. 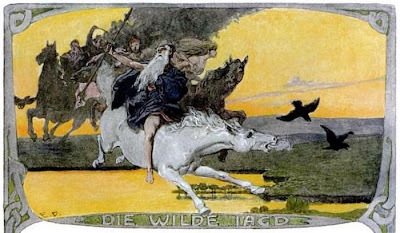 As with the circle of shields becoming exaggerated into a ring of fire, this scene seems fixed in the historical imagination as a tale of a mystic valkyrie incurring the wrath of Odin. 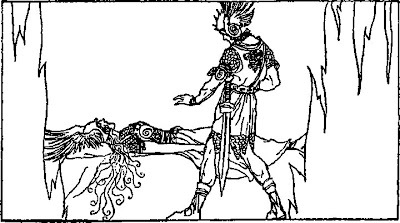 However, the text itself makes no specific mention of valkyries. 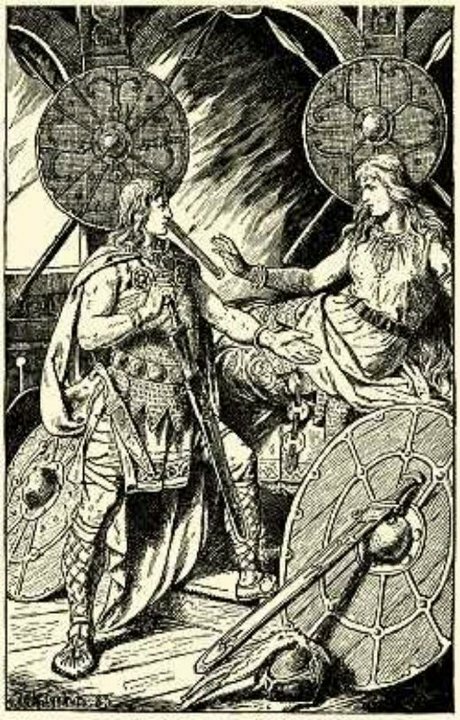 Before Brynhild tells her story, Sigurd says, “I have heard that you are the daughter of a powerful king.” She is clearly a shield-maiden, a warrior woman who serves Odin, but she appears to be human, unlike the Wish Maiden Hljód, who can turn into a crow and who lives long enough to both enable Volsung's birth and marry him when he reaches adulthood. 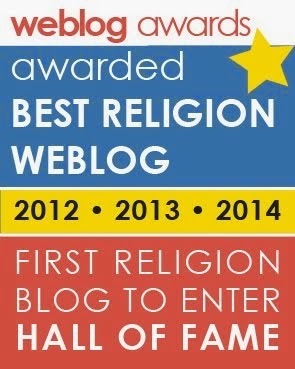 It is telling that Odin’s punishment for Brynhild is that she “must marry” – more evidence for a cult of virgin priestesses dedicated to the god. 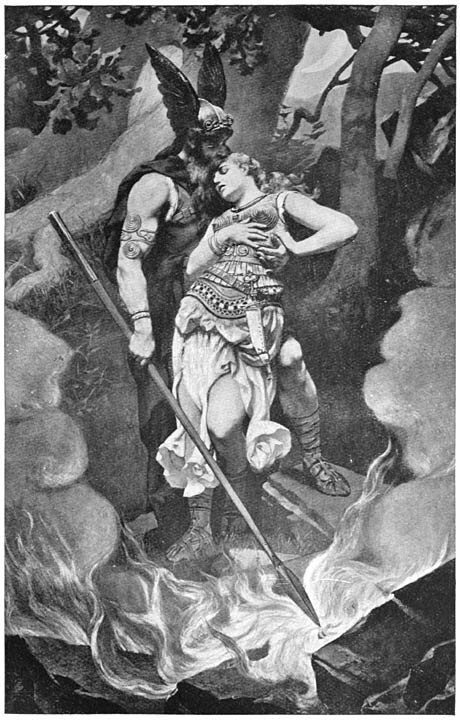 The character of Brynhild changes radically from one version of the legend to another, yet she maintains certain core characteristics. 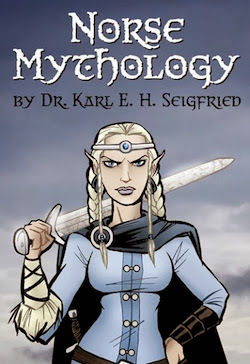 Tracing her evolution (or devolution), we can see the parallel descent of the ancient Norse religion as it moved through myth and into legend. The mythic image of the mystic valkyrie that derived from the actual of the "chooser of the slain" in ancient Germanic societies was, by the time of the sagas, well-established. These warrior-goddesses flew through the skies and over the seas on their magic horses, collecting fallen heroes and bringing them to Valhalla ("hall of the slain"). 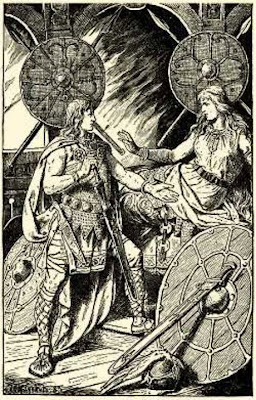 Once in the hall, the valkyries shed their armor and brought horns of ale to the einherjar ("lone fighters"), the chosen slain who feasted and battled in Asgard throughout the ages, waiting and preparing for the final battle at Ragnarök. There may be a connection between the einherjar and the Harii, the Germanic tribe that Tactitus described in 98 AD: "They pander to their innate savagery by skill and timing: with black shields and painted bodies, they choose dark nights to fight, and by means of the terror and shadow of a ghostly army they cause panic, since no enemy can bear a sight so unexpected and hellish." 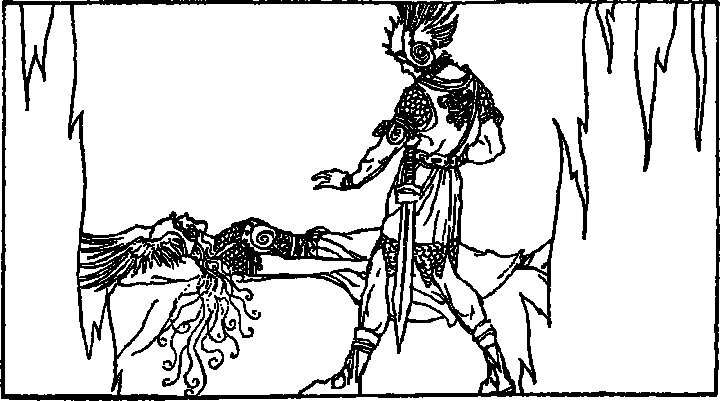 These terrifying human warriors can be seen mythically reflected in the host of undead warriors that attend Odin in his hall and that join him as he flies through the skies leading the Raging Host or the Wild Hunt.